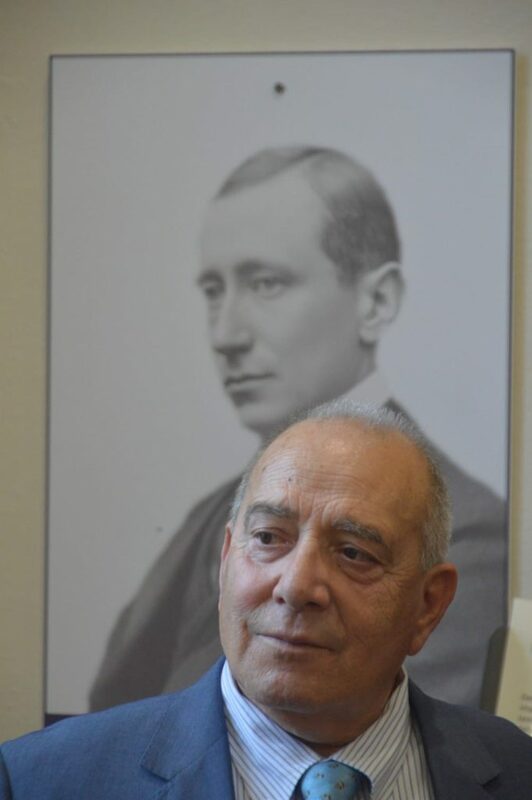 Pino Biagi, descendant of ITALIA’s radiographer Giuseppe Biagi, pictured in front of a portrait of Guglielmo Marconi, inventor who pioneered long-distance radio transmission. On 10 November, the voyage of Airship ITALIA was commemorated at “Ritorno al Polo Nord” in La Spezia (Italy). 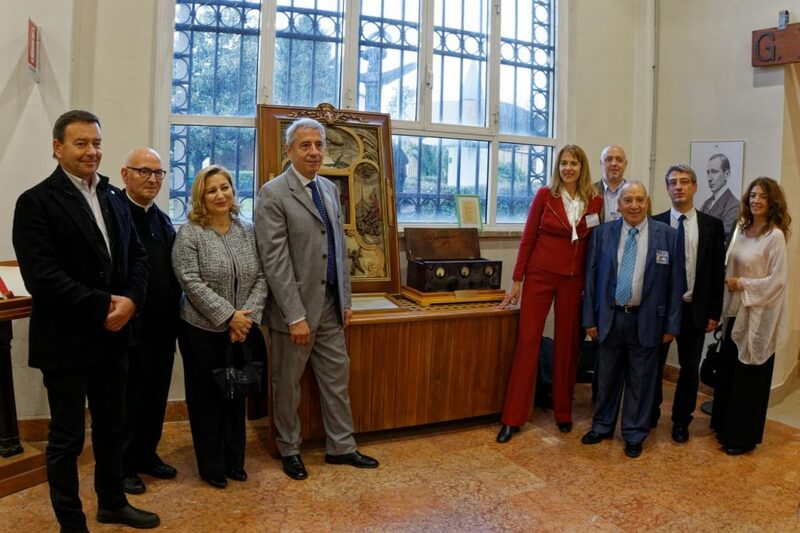 The event featured talks by Italian and international researchers and historians, including Polarquest’s project leader Paola Catapano and geographer Gianluca Casagrande. 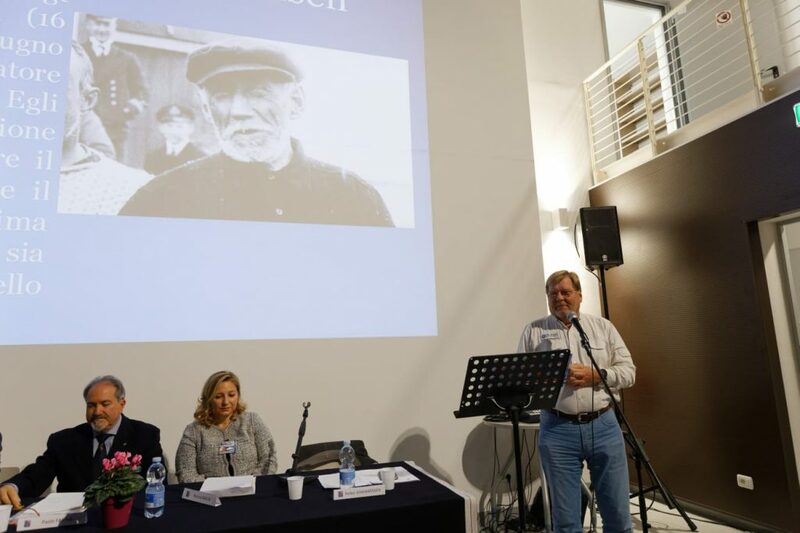 The speakers discussed the historical events surrounding the infamous journey, and commemorated the lives of aviator Umberto Maddalena, the journalist Ugo Lago and the explorer Roald Amundsen. Special focus was given to the current status of Arctic exploration, with the Polarquest team presenting their latest scientific results from the expedition. Following the talks, the Polarquest team headed over to the Naval Museum (La Spezia) to view artefacts from the ITALIA. 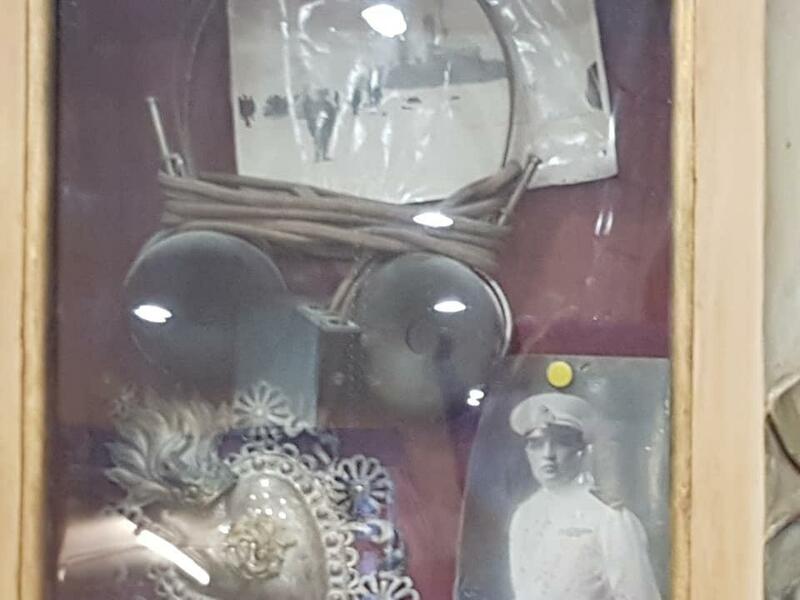 Ninety years prior, radiographer Giuseppe Biagi made a vow while floating on the Arctic ice: he would donate his treasured headphones to the Santuario della Madonna del Divino Amore church in Rome if he ever made it home. Giuseppe fulfilled his vow and the church kept guard of these headphones for nearly a century… until now! During a short ceremony, the director of the church presented the headphones to representatives of the Naval Museum (La Spezia). The museum is home to the radio used by Giuseppe, so will at last the two objects will be reunited! The ceremony was attended by Pino Biagi, who thanked the church for their support. Reuniting the headphones with the ITALIA radio. On display at the Naval Museum: wreckage of the Airship ITALIA used by Giuseppe Biagi to construct the radio aerial. 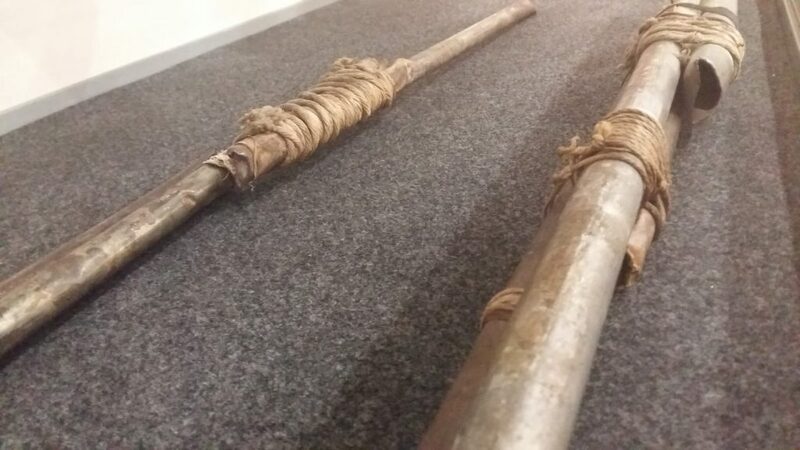 The headphones used by Giuseppe Biagi. Descendants of the ITALIA crew speak at the “Ritorno al Polo Nord” event.